If you thought Vertu's smartphones were boldly designed wait until you lay eyes on this effort out of France, aimed squarely at China's elite. 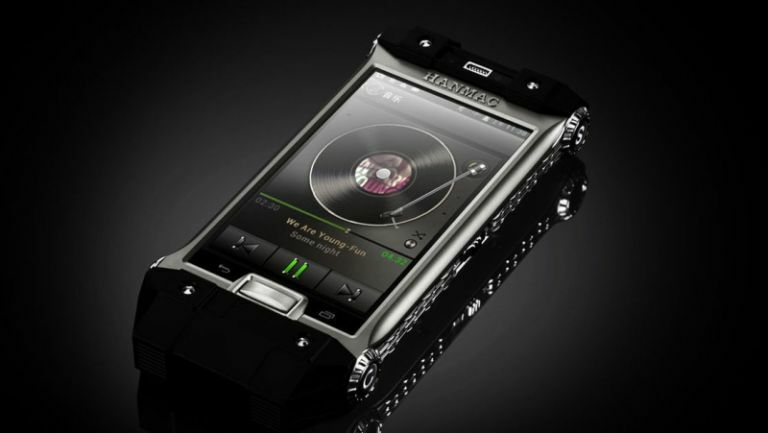 If you're filthy rich and residing in China then this is, apparently, the smartphone for you. Built by manufacturer Hanmac - based in France, yes FRANCE - this latest offering goes by the name New Defency. Not a great name, so we're off to a bad start. Covered in a layer of sapphire glass, encased in premium metal and finished off with ceramic buttons, no expense has been spared with this hand-built device which takes one person 30 days to put together. Look past the gaudy, almost steam punk design though and the internal specs are less high class. A 1.2GHz quad-core processor and 2GB of RAM run the show, but with a rather old Android 4.2 OS and bargain basement 3.5-inch, 480 x 800 display the New Defency struggles to even match the sub £100 smartphones currently on the market. You do get a 13MP snapper on the rear and a 3MP offering on the front, but it's hardly a saving grace. And to add insult to injury the Hanmac New Defency starts at $3,100 (around £2,000) - oo la la indeed.